lovely art!! love the tone!! 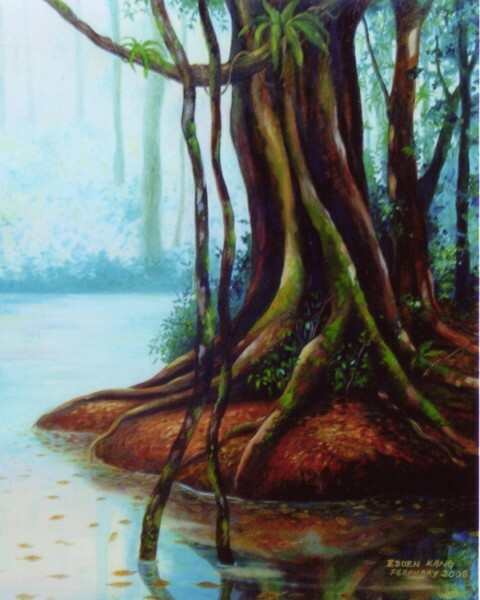 Look at the strenght and beauty you have captured in this landscape painting.WOW! I love the reflections in the water, the little green fern growing on the dark limb, the leaves floating - absolutely fabulous! What a beautifully executed painting!! !